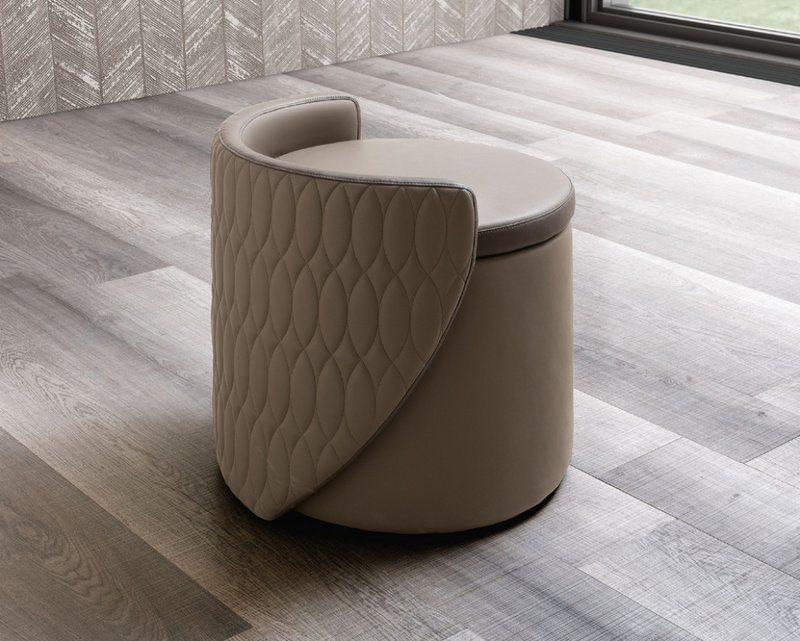 This Harper Stool is a sturdy round seat that is ideal to go with the Harper dressing table. It comes upholstered in a choice of eco-leather finishes and has a storage compartment under the padded seat cushion. The curved edged design at the back of the backrest matches the curved drawers on the dressing table.